What's on at Kilbirnie Library? Home > About the library > Our Branches > Ruth Gotlieb (Kilbirnie) Library > What's on at Kilbirnie Library? What's on at Ruth Gotlieb Library Kilbirnie? Nau mai haere mai, welcome. On this page you'll find information about what's happening at Ruth Gotlieb Library Kilbirnie. A Justice of the Peace is available at the Kilbirnie Library on Thursdays from 5.30-6.30pm. No appointment necessary but please contact us on the day to confirm availability. You can ring us on 387-1480. Welly WiFi is available at Kilbirnie Library. Just bring in your wireless-compatible device and log on for free. We have a PlayStation 4, with a selection of games for one or two players! We invite Young Adults to have fun, develop their strategic thinking and problem-solving skills, or simply tune out the stress of a busy school day! The PlayStation is available between 3-5pm on weekdays during term time, and one-hour timeslots can be booked in advance, once per week, with a library card. Teens between 13-18 years of age can use the PlayStation on their own, or invite another friend to play with them. The second player may be a younger friend (under 13 years), sibling, or a parent. There is an Android Touch Table available in the children's area, loaded with a range of educational games.They include pretend play and adventure games, apps for learning to read and write, games in Te Reo Maori, exciting games based on popular children's books, and apps to foster math and problem-solving skills. All have been chosen to be suitable for littlies, pre-schoolers and school kids. 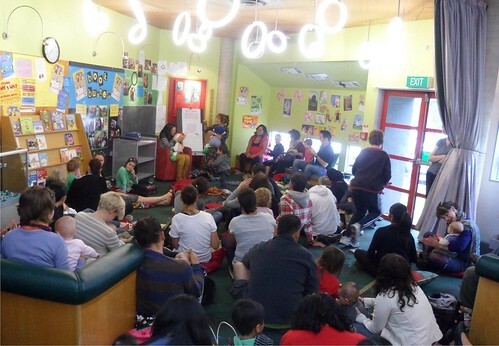 Our hugely popular Baby Rock & Rhyme programme is held every Friday morning (except during Christmas Holidays). A free, interactive, fun-filled session of songs, rhymes and fingerplays for babies 0-2 years and their caregivers. Each session starts at 10:15am and runs for approximately 20 minutes. Arrive early to grab the best spots. More information, including full details for all libraries, is available on the kids' What's on page. Come along and be entertained by our wonderfully gifted storytellers! 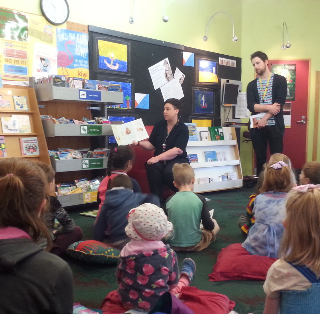 Preschool Storytime sessions are held at Kilbirnie Library every Monday and Wednesday at 10.30am. Enjoy listening to new stories as well as old favourites. Grab a cushion and make yourself comfortable! More information on storytimes, including full details for all libraries, is available on the kids' What's on page. 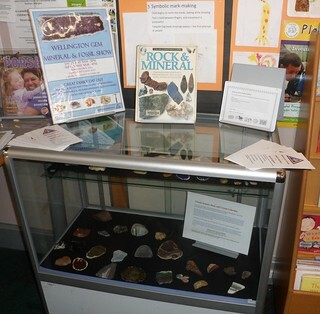 We have a fun way for you to be involved in Ruth Gotlieb Library - bring us your treasured collections to display! We've had collections of origami, vintage Polly Pockets, World War II artefacts and Harry Potter figurines, so all ideas are welcome. Register your interest with one of our friendly staff when you next come into the library. Kilbirnie Library plays host to a fantastic social book group for adults. We meet in the library on the first Thursday of the month from 6-7pm. Come and join us! "The Kilbirnie library book club comes together over a cuppa and biscuit to discuss the books we have read, movies we have seen, and authors. The selection of books available for reading is varied. For me, this has expanded the authors and the type of books I read and to read with a different perspective and viewpoint." "We recently had Kate Spencer come and speak to us about her book Being Daisy. Interesting and entertaining to listen to an author speak on her book and life experience. A different insight to that of a just a reader." For further information, email June or ring us on 387 1480. We have a comprehensive English language learning collection, including grammar and vocabulary workbooks, IELTS preparation, dictionaries and simplified fiction. 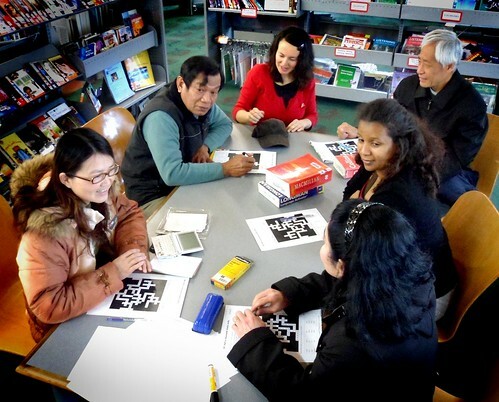 Come along to our free English conversation session at Kilbirnie Library. We meet every Monday from 11am-12pm to chat and improve our English conversation skills. All levels welcome! 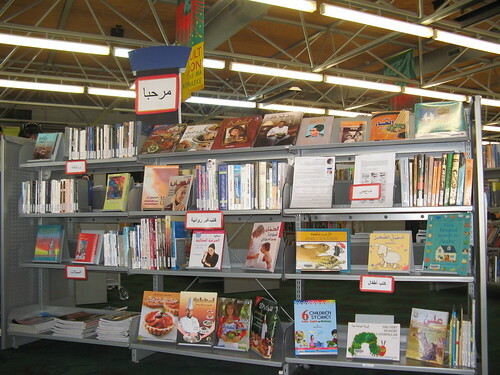 Come and browse our wonderful collection of Arabic language material. We have fiction as well as non-fiction (including cooking, parenting) and Children's books. We also hold the popular Sayidaty magazine. You may read magazines in the library, or borrow lending copies for one week with your WCL library card. All items in this collection can be borrowed free of charge. 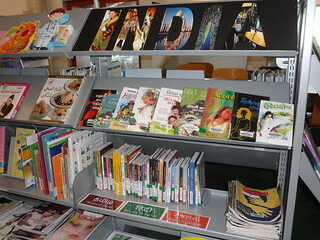 Our foreign language collection has expanded with the addition of books in Hindi, Gujarati and Tamil. We also have Chitralekha, a weekly Gujarati news magazine. All items in this collection can be borrowed free of charge. Discover our Graphic Novel Collection! Featuring action packed adventure, comedy genius and bloodcurdling thrillers, our shelves house something for everyone. 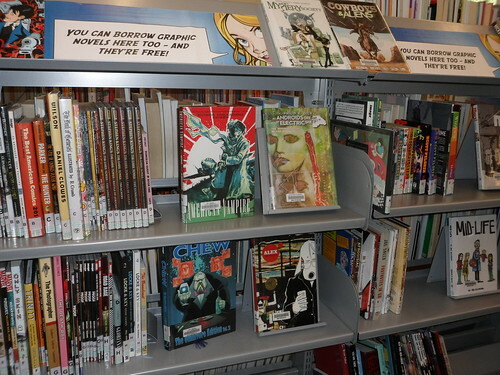 Drop in to the library to browse and borrow classic Marvel and DC superhero stories, New Zealand artists like Sarah Laing and Dylan Horrocks, or re-visit old favourites in Graphic Novel form (such as The Kite Runner or Game of Thrones). The 'Select' collection is designed to make it easier to borrow popular and frequently reserved items within our DVD collection. 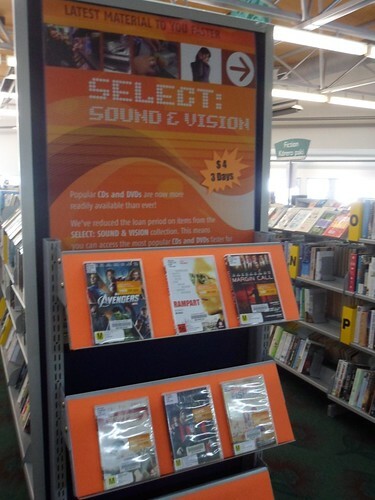 The titles in this collection have a reduced loan period of 3 days, meaning you can access the most popular DVDs faster for the same price and find them on the shelf more often. Items in this collection also cannot be reserved - so are more immediately available. Look for the 'Select' orange sticker.